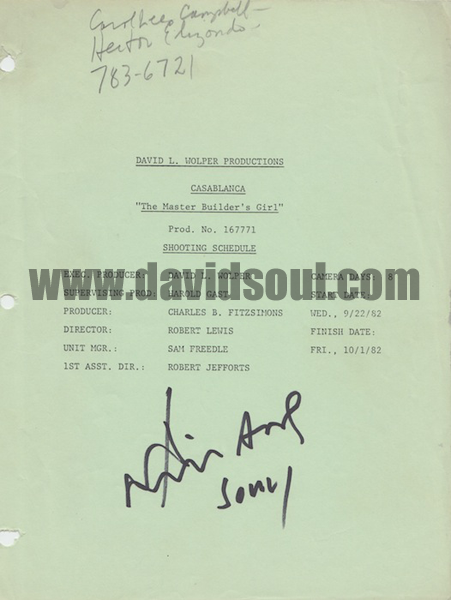 David Soul’s original script from his performance in the Robert Lewis-directed 1983 TV series, Casablanca, episode “The Master Builder’s Woman.” The script contains David’s numerous personal edits, notes, and doodles, all in his handwriting. 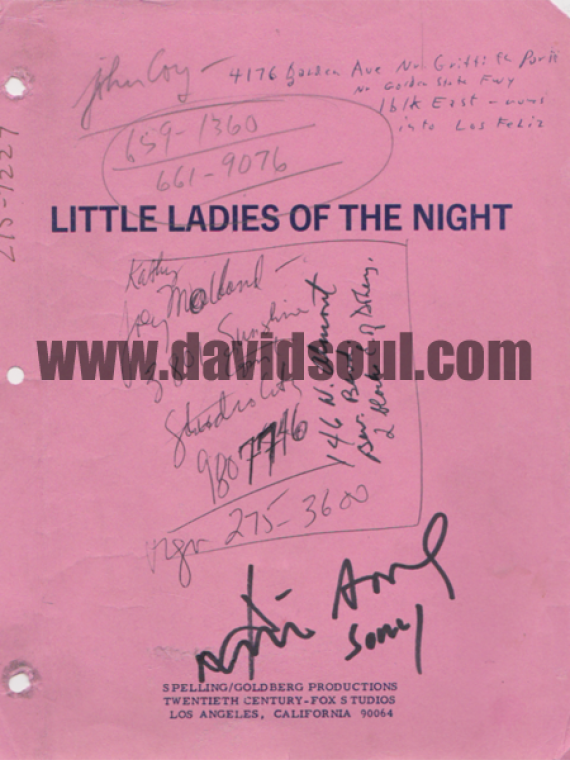 The cover of the script has also been autographed by David Soul. Synopsis: A German engineer comes to Casablanca to begin work on a major project. At the same time, there’s a manhunt for a French agent known by the code name Henri Henri. Rick is approached by someone in the underground who wants him to help Henri Henri escape, but — as usual — Rick is not sticking his neck out.